Newcastle United manager Rafael Benitez says the opening Premier League fixture at home to Tottenham Hotspur is an “exciting first game” and he is looking forward to the early test. 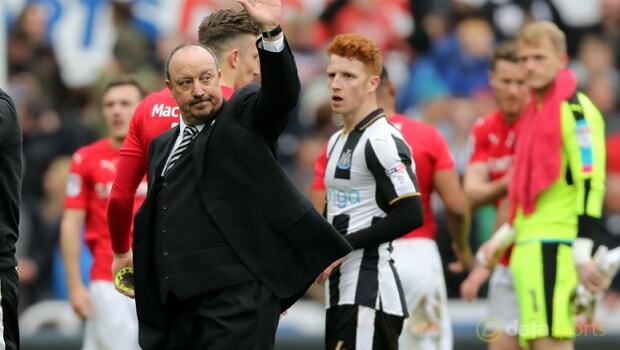 Newcastle secured an instant return to the Premier League by winning the Championship and the newly-promoted club have been handed a difficult opening-day challenge. The Magpies will welcome Tottenham, who are 9.00 to win the title, to St James’ Park, with the visitors eager to build from their second-place top-flight finish. However, it will be no walkover for Spurs and the last time they made the trip to the north east they ended up on the receiving end of a 5-1 hammering back in May 2016. Newcastle, who are 81.00 to finish in the top four, will be hopeful of a positive start as they look to cement their status in England’s top-tier after a few topsy-turvy years. Benitez is eagerly anticipating the start of the new campaign and he believes taking on Tottenham straight away will create a real buzz around the city. “It’s always exciting to see the new fixtures and like the fans, it’s something we all look forward to,” he told the club’s official website. “It’s a great start at home to Tottenham and a really exciting first game at St. James’ Park for our fans to enjoy. After the Spurs clash, Newcastle make the trip to Huddersfield Town, who are 1.57 favourites to be relegated, before playing host to West Ham United.